When one thinks of architects, they often think of men. However, the industry, as well as these preconceived notions, are changing. One piece of knowledge that those in the industry have is the fact that women, for the longest time, did not intentionally become architects. They often fell into the role after being closely associated with it, but intentionally pursuing this role was virtually unheard of for females – or at least it used to be. Today, the industry is seeing more and more women pursue this career path intentionally right out of high school. This should not be much of a surprise considering how progressive American society has become in the last few years. In this article, we will examine three female architects who have not only broken the mold but raised the bar far past the glass ceiling that was once imposed upon them. 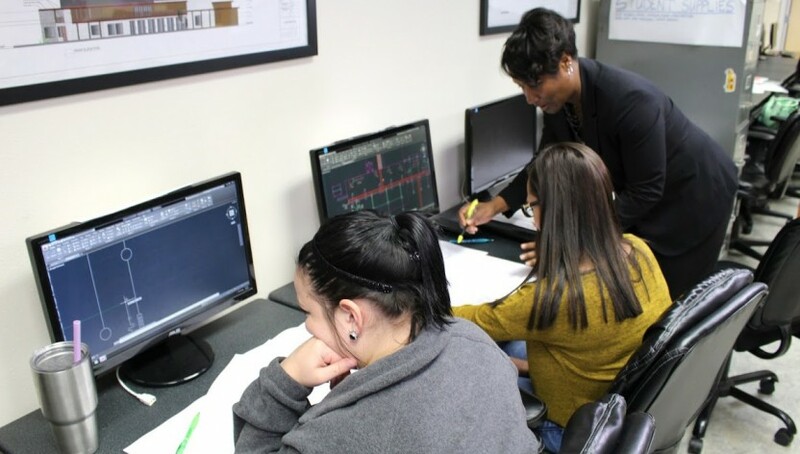 For these three women, pursuing higher education and a career in the CAD & Architectural drafting industry was one of the best choices they could make. Wearstler works to design luxury homes in Beverly Hills, and her reputation precedes her everywhere she goes. She has designed spaces for celebrity clients including Cameron Diaz and Gwen Stefani. She has also worked to design several commercial spaces, with the Westfield Century City being an outstanding example. In an age where women were often thought of as second-class citizens, Prakash rose to the top by starting her own architectural business in 1979. She is revered as a legend in her industry, especially in her home country of India. She was recently responsible for designing a new factory for Flextronics, a large hardware manufacturer, and she designed the State Bank of India’s regional headquarters. Prakash’s career has had a significant impact on the drafting industry as well as her home country of India. Denise runs an architectural firm called VSBA with her husband, Robert Venturi, and together they have changed the face of the industry. While she is an industry influencer today, this was not always the case; she began in the 1950’s, and as an architect and a woman she faced quite a bit of discrimination. Not only has she done substantial work in the industry, but she has also helped progress the cause of feminism in the architectural field. Each of these feats are incredible. Denise Scott Brown has helped many young women in the industry understand that while school is a non-discriminatory environment for women, it can become much nastier once they enter the real world of architecture. Still, she has pushed on and paved the way for many more women to follow in her footsteps. While many women got their start decades ago, we are now living in a far more progressive time. Industry experts twenty years ago would not believe how prevalent women are in the industry and how heavily the industry has become reliant on computer-aided drafting. The technology has certainly become more advanced, but this just brings the need for new skilled employees to help get the job done. The big question now, is where do you fit in? If you want to work your way into the CAD industry, you will need to complete your drafting education and earn a degree from a higher education institution like a technical school or trade school. Due to the influx of women and the need for skilled workers, many organizations and companies offer industry scholarship programs, giving you a head start and the ability to take on the career you want. If you are ready to start your career, call us for more information and get ready to embark on a journey like no other. As a woman, you can revolutionize the industry, starting right now! Is Computer Aided Drafting a Legitimate Art Form? Do you consider yourself to be a creative individual with a strong inclination towards technical drawing? While some people think that technical drawing and artistic creativity cannot go hand in hand, the reality is that even the most complex computer-aided drafting (CAD), designs contain a significant amount of creativity and art. If you want to develop your skills as a creator while learning the highly technical processes of a CAD professional, then studying Drafting and Design Technology could be the perfect gateway to get to a career that you will love. ITI Technical College offers an Associate of Occupational Studies (AOS) Degree in Drafting and Design Technology that could prepare you for a rewarding career! Why is Computer Aided Drafting Important? Computer-aided drafting is a relatively new technology that allows people to complete traditional tasks more efficiently. Buildings, cars, mechanical devices, and even aerospace products are all developed using CAD software. Despite what some people may think, software is not a hindrance to artistic creativity. Instead, computer aided drafting actually facilitates a better way to design and, in many cases, it even allows for more creativity than traditional design. Using CAD also significantly reduces design times and allows builders to test and prove models with fewer steps that would be required with traditional drafting. CAD minimizes the use of materials and eliminates mistakes during the design process. This reduces the reliance on prototyping (although this is still important), and it means that professionals can have the freedom to be more creative while pushing the boundaries of modern design. What Separates Art from Pure Function? Traditionalists may tell you that computer-aided drafting can never be art because you can only achieve it with the help of modern technology. However, this is an outdated view and simply does not align with reality. Take the design of modern vehicles as an example. Although the initial designs might start with basic sketches on paper, engineers will eventually transfer that original design to a computer drafting platform. With mechanical drafting school or architectural drafting and design Associate Degree, you could take your creativity and turn it into a functional model that one day becomes a physical model. A company like Ferrari, which creates some of the most impressive cars available today, exclusively uses CAD for vehicle design. Ferrari vehicles are art as much as they are machines, because of the passion that goes into their design. They combine beauty with functionality, and this is clearly a form of art. It is all about perspective and opinion, but you would be hard pressed to find an automotive enthusiast who does not consider a Ferrari to be a work of art in some way. We can also use buildings as examples of art. Buildings were once mostly functional and utilitarian. Today, modern architecture allows structures to be works of art. A CAD & architectural drafting degree from a reputable technical college could allow you to create buildings of the future that are works of art and structures of function and necessity. Simply because something is functional or built for a specific purpose does not mean that it cannot be considered art. Thus, many people consider drafters to be modern artists. If you want to be creative and develop true works of art, then you should not assume that a technical career would be limiting. In fact, having technical skills in computer-aided drafting could even allow you to take your art to a new level. Whether it is an architecturally designed home or even an industrial design for a modern electronic device, your creativity and passion can make it art. At ITI Technical College, you can explore both your creativity and technical skills by enrolling in our Associate of Occupational Studies (AOS) Degree program in Drafting and Design Technology. Using computer-aided drafting, you could be part of a new generation of artists who are designing structures in the everyday world to inspire people. A functional home can incorporate elements of art, making for livable spaces that are exciting, engaging, and beautiful. Talk to our enrollment team today to learn more about upcoming courses and prepare yourself for a rewarding new career. 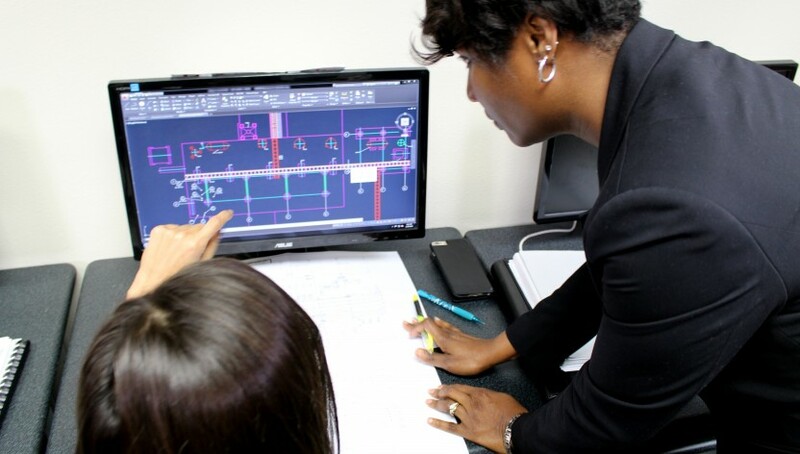 Attending a school of drafting and design could positively impact your future! Comments Off on Is Computer Aided Drafting a Legitimate Art Form? If you look back over the last 50 years, you can identify countless significant events that changed the world. When it comes to building design, things have changed drastically in recent history, and the advent of computer-aided drafting has proved to be one of the most significant advancements. Today, architects can create buildings that were not possible in the past, using modern materials that allow for safer buildings that are also more aesthetically pleasing. 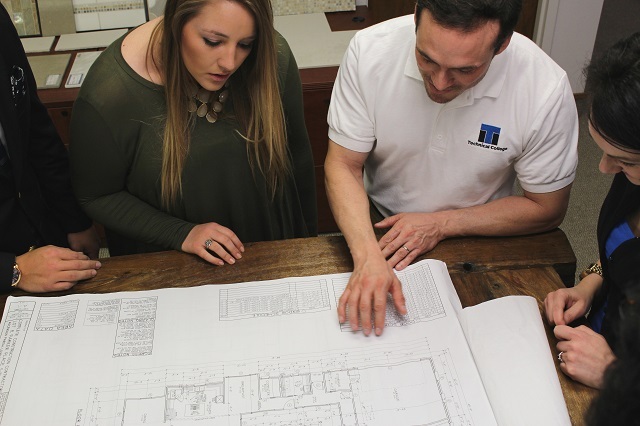 If you are thinking about starting your drafting education, then an architectural drafting and design associate degree could be the perfect way to begin your career. Earning an education can give you the skills, knowledge, and confidence to succeed in this challenging industry. Computer-aided drafting and design, also known as CADD or CAD, is a technological development that enables the use of computer systems in the creation, modification, and optimization of building design. For architects and engineers, computer-aided drafting is a regular part of everyday work life. Traditional drafting designs were completed on paper using a multitude of measuring tools. Additionally, the attention to detail with this approach required a considerable amount of time and effort. CAD has completely revolutionized the drafting process by making architectural drawings easier to produce with higher degrees of accuracy than ever before. While effort and attention to detail are still required, professionals can now work faster than they could before the invention of CAD several years ago. While early systems were rudimentary only assisted in the design process, today, CAD software has effectively overtaken the manual drafting process altogether. Computer-aided drafting and design is the choice for professionals all over the world. Advanced software like AutoCAD allows the user to create complex architectural drawings through a user-friendly interface. Although it might sound like CAD can eliminate the need for extensive training, the reality is that you will still need to get the proper qualifications to extract the most from computer-aided drafting. Think about any of the buildings developed in modern history and you can guarantee that the contractors used CAD software throughout the design and engineering process. Skyscrapers like the One World Trade Center in New York, the Burj Khalifa in Dubai, and the Trump International Hotel and Tower in Chicago were made possible using computer-aided drafting. Studying at a school of drafting and design will give you the knowledge and confidence you need to work on complicated architectural projects so that you can also make your mark on building history in the future. Where Do You Want Your Career to Take You? Computer-aided drafting has clearly changed the way that architectural professionals design and construct buildings. You can explore your own creativity by enrolling in one of the many drafting school programs in the United States. 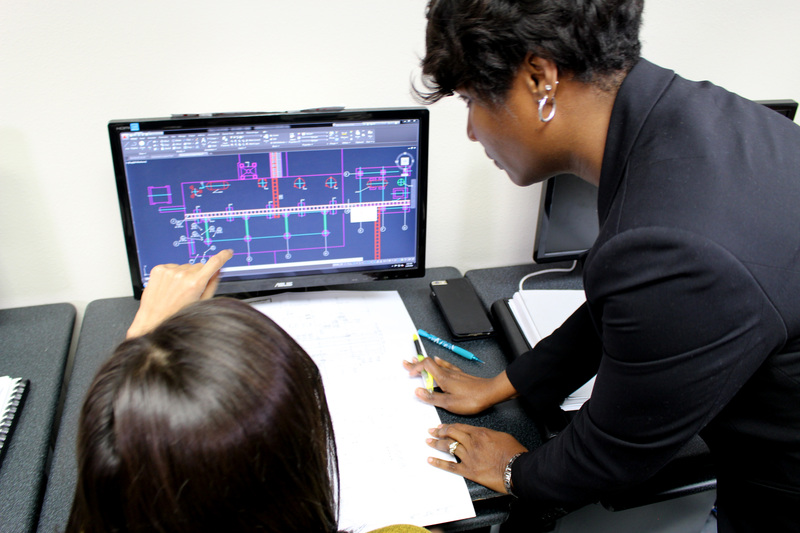 At ITI Technical College, you can earn your Associate of Occupational Studies (AOS) Degree in Drafting and Design Technology to gain the skills and knowledge you need to work on residential, civil, and private architectural projects. In their Drafting and Design Technology program, you will learn on the latest software and develop the skills that are in high demand. An expert team of educators will ensure that you are fully prepared to enter the workforce as qualified drafting professional. Drafting jobs are diverse and cover a wide range of industries. 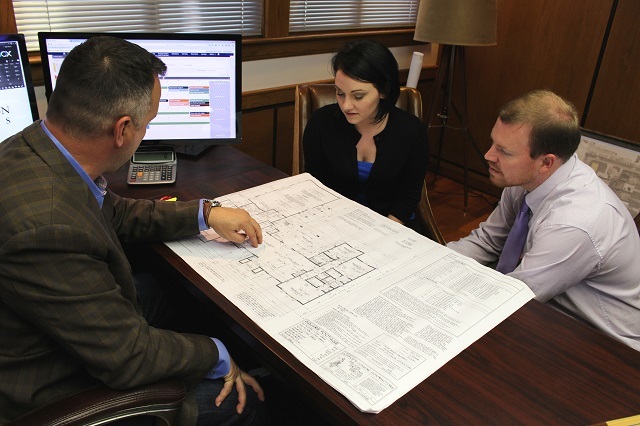 Whether you want to work on public projects or for a private company, you will be able to learn the skills that you need with a drafting education. A high degree of proficiency in mathematics and design is required, but you can talk to our enrollment team to learn about course requirements and prerequisites before you commit to a path of study or a specific program. Do not let your potential be wasted by following a career path that is not aligned with your goals and passions. If you are passionate about architecture and computer-aided drafting, then you should seriously consider attending a drafting college to obtain an education and get a head start in the field. Talk to our admissions team at ITI Technical College today to learn more about our course offerings, schedules, and financing options. Financial aid may be available to those who qualify, so do not let your financial situation discourage you from reaching out to us! Prepare for the next enrollment, and you could be one of the talented designers that create the buildings of the future. Are you thinking of attending a school of drafting and design? Does it sound like it would be a good career choice? Drafting is a much different concept and task today than it was in the past. Therefore, many new people are beginning to enter this industry and learn the trade. Today we are going to spend some time talking about the requirements that you need to meet, and what you will need to know as you embark on this amazing new career. Computer skills are very important when it comes to drafting school programs, and with CAD in the real world. There was a time when drafting was performed on paper with large easels, but technology has changed things considerably. Today, computers make drafting a much easier task that can be performed in the privacy of an office rather than in a room containing dozens and dozens of easels. You can now draft when you are on the go, at home, or even on the job site. Nothing is out of your reach anymore, and with the advent of tablets, it just became easier. While this is great, it does ho, however, reinforce the necessity of computer skills which are now a definite pre-requisite for anyone who is planning to enter the field. * Commercial – Areas that are zoned commercial need to be built with certain regulations in mind to ensure both safety and compliance. * The Movie Industry – Believe it or not, CAD is very important in the film industry. CAD is used not only to create the sets, but also to ensure their safety. CAD can also be used in theater productions. * Ship Industry – In the ship industry, there is plenty of room for CAD. Applications include building cradles for yacht transport, erecting dry dock facilities, or even creating the ships themselves. The possibilities are endless in this industry and you will find that CAD designers are in high demand. In the world of drafting, there really needs to be a certain level of accuracy for the building to work. In the past, it was difficult for drafters to draw with the level of accuracy required to create a safe building design. However, the advent of computers has completely changed the drafting and design game forever. Now, it is possible to create a completely accurate drawing with just a few clicks and it can even be modified for add-ons or corrections within a matter of minutes. This type of accuracy not only makes for a faster drafting process, it makes it easier for new drafters to come into the picture. Those who may not have been great at drawing freehand might be much better at designing on a computer, which certainly gives the industry more room for growth. If you are interested in joining this amazing industry, then now would certainly be a good time to do so. Our school of drafting and design is staffed by experienced instructors who know the field well and can provide hands-on experience with the latest Computer Aided Drafting Software. It will not be long before you are ready to join the work force and perhaps even build a new world. Call us today for more information and to enroll. When you choose to go back to school to obtain a higher level of education, chances are it is a very thought-out decision that has been well-planned. As such, upon completion of your education, you will want to embark on a rewarding career that will last a lifetime and keep challenging you each day. While this is not always the easiest thing to find, it is not impossible by any means. One of the most popular jobs today involves computer-aided drafting, and it is very much in demand. Without it, our society would be a very different place. All modern structures have been designed and engineered using some form of computer-aided drafting, so it is important to understand what this style of drafting entails. It all starts with programs like AutoCad, which are used to design everything from the underlying framework all the way to the outer shell of the building. Without programs like AutoCad, our world would be a very different place. The skills that you learn at a school of drafting and design are useful in both the residential and commercial sectors. In the residential sector, you will likely develop single family homes, large condominiums, apartment buildings, apartment complexes, and more. If you choose to work in the commercial side of drafting and design, then you will likely design retail stores, office buildings, factories, nursing homes, and even churches. However, the knowledge you gain during your education in an architectural drafting program can be used for much more than just designing buildings. In fact, computer-aided drafting is often used to design the special effects for movie sets, aircraft hulls, ground vehicles, and other important structures that we use every single day. Computer-aided drafting is much more useful, practical, and it is easier than older drafting methods. The original method of pencil and paper is quickly falling by the wayside, and for good reason. Previously, a simple revision could take days to complete, and it could even require rewriting the original blueprints depending on the necessary changes. With modern CAD technology though, a change can be made in just a few hours, and designers can preserve the original blueprint file while the new file is created. In addition, drafters can make as many copies of the blueprint as necessary, and the original will never be lost. This is a considerable improvement compared to how blueprint changes used to be made! 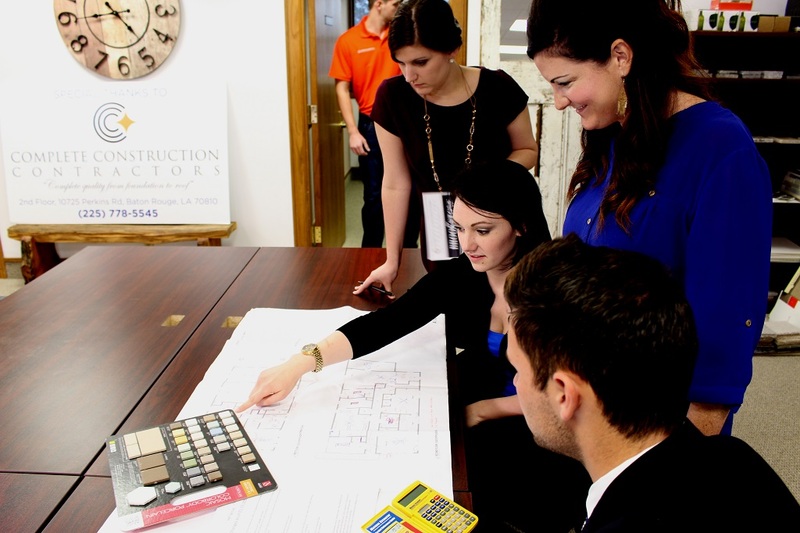 After completing your drafting education, you will be able to embark on a rewarding and fulfilling career in the drafting and design industry that will help you have a strong impact on the communities you serve Not only is the drafting and design industry an exciting field, it is one that will constantly challenge and reward you. It all starts, however, with getting the right education. ITI Technical College features a comprehensive curriculum that combines hands-on experience with practical knowledge to help prepare you to be effective in the field. ITI Technical College’s instructors are passionate about teaching and have industry experience in the field they are teaching. They teach the skills necessary to properly utilize the CAD programs that you will be equipped with while you are in the field. The drafting and design industry is certainly a challenging one, but an education from ITI Technical College will help you build a strong foundation for your career. For more information, contact one of our admissions professionals and get the enrollment process started – your future awaits! Computer-aided drafting is arguably one of the most important fields related to the construction industry, and without it, we would have a very difficult time developing some of the amazing designs we have seen in the modern era. Attending a school of drafting and design is a great gateway into this world, but what can you expect from it? Today we are going to look at a few areas in the industry that a good computer-aided drafting course can help you to get into. Computer-aided drafting (CAD), does not just mean buildings; it can mean electronics, circuit boards, and even the casing that holds those devices. By using computer-aided drafting, you can not only create the proper casing for electronics but also the devices themselves. In addition to that, you could design the very machines that these electronics power. The opportunities are virtually endless when you choose this career path, so make sure that you are investigating all potential outcomes. Our world is built on systems, and society constantly needs skilled individuals to design those systems. Some of these systems include conveyor belts, plumping systems, vacuum pumping systems, and more. Manufacturing engineering is often facilitated through computer-aided drafting to ensure precise accuracy and to allow for changes in the design after completion. Working in this type of career will call for a good handle on math and physics, and you will need to be ready to practice perfection in everything you do. While very different from the items we mentioned previously, computer-aided drafting is also used to create special effects for movies, television shows, commercials, and more. Furthermore, the scaffolding and the complex structures used to comprise the special effects are created using precise methodologies only afforded by computer-aided drafting. The importance of proper design in special effects cannot be overstated; a single mistake can cause injury or death, which has led to the need for more experience and more cautious designers. You can fulfill this role with the right determination and the right education. If you want to jump into this job, then you are going to need the right education. This process starts with choosing the right school that offers a modern curriculum and is a good fit for your personality type. When choosing a school, you must also ensure that they employ experienced instructors who have spent plenty of time in the field. Finally, you want to ensure that you will receive hands-on training. This means combining lectures in a classroom environment with detailed instruction in a laboratory environment that utilizes the latest and greatest in CAD technology from the computers to the software that is being used to train you. With the right education, you can enter the field ready to take on any challenge. If you are ready to change your life by entering the world computer-aided drafting, then now would be a great time for you to give us a call to see what we have to offer you. This could not only be the moment that your life changes forever but the moment that you resolve to change the world in a great way by contributing to the drafting world. It is time for you to stop putting off your education and your life – call us today and get ready to embark on an incredible journey! Choosing a career path can be very difficult these days, to put it mildly. In the past, there seemed to be only a few simple options, but with the way that the world is quickly expanding and growing, it should really be no surprise to anyone that people are starting to explore their options. For example, they could be entering the IT field, or more importantly, they could be choosing a school of drafting and design. Today we’re going to look at three different and very important reasons to choose to draft your career path in 2018. This is not to say that the drafting field was NOT interesting prior to 2018, but these days, we’re starting to see the evolution of certain technologies that are making the job a lot more fun and ultimately a lot more versatile. One great example that we can cite is your ability to use computer software rather than drawing out every single blueprint. With a computer aided drafting program, you can easily create the most elaborate looking illustrations and designs, which brings the art to just about anyone who is able to use computers and has a passion for it. There are new methods and techniques being designed and uncovered every single day in the drafting industry, the only question now, is what’s next? How many times have you walked through New York City and looked at the massive skyscrapers? Think about this: someone built that, but most importantly, someone designed that. Before the empire state building was towering over the New York, it was simply an idea in someone’s mind. The same goes for any of the great landmarks created throughout history and there are going to be plenty more in the years to come. The big question here, however, is what part are you going to take in that construction? What direction are you going to take your life? You could easily become a part of the next big important piece of infrastructure in New York City, Chicago, Dubai, England, or anywhere else. You never know just where your influence and your ideas are going to spread! While buildings are heavily focused on in drafting education, there is much more to it than that. Drafting can extend to building interiors, movie sets, and much more. Your job as a drafter may even extend to developing solutions for the disabled, such as wheelchair ramps and even elevator shafts. To expand on it even further, you could very well end up designing aircraft or even ships. The possibilities are endless and it all starts with you taking the first step – getting your drafting education. Like we said, it’s all going to start with you pursuing the right education and making sure that you’re willing to sit through the classes. ITI Technical College offers captivating classes taught by passionate instructors that cover curriculum in the drafting and design field. We encourage you to review our offerings including an Associate of Occupational Studies (AOS) degree in Drafting and Design. Give us a call and review our website regarding our program offerings. It might not be too long before you find yourself in a dream career doing what you’ve always wanted. If you have a desire to draw or a need to create, then this is going to be the field for you. We’ve listed three great reasons to start considering drafting education, but you can rest assured that there are plenty of other great reasons. Think about your new potential career today and get started. As a drafter, you are going to face many challenges, and as you go into a school of drafting and design, you might not know the difference between commercial and residential drafting. Is there really a difference that you need to know about? There absolutely is, and we’re going to spend some time addressing it. Residential drafting is a simple concept; you’re creating the blueprint for a house or an apartment. Something important to keep in mind is that you will need to design the residence to meet certain standards of living. For example, it needs to have proper plumbing, etc. You should also take into account that people will be living here, and the environment is susceptible to damage. In commercial drafting you are creating drafts for commercial buildings, to put it as simply as possible. In this case, we’re talking about skyscrapers, office buildings, stores, and essentially anything else you might find in a commercial district. The thing that you need to remember about these buildings is that they are often much more durable than residential buildings, but they are also a bit more complicated. The codes that you will have to adhere to when designing them will obviously be a bit more extensive and it is a true commitment. As a part of your drafting education, you are going to learn how to use the latest software. There was a time when all blueprints were drawn by hand, and while it resulted in some utterly amazing architecture, computer software today is much more preferred for two reasons. The first reason is that it is much more accurate. This accuracy results in faster builds, but it also gives us better safety. The second thing that comes from this is the ability to edit the draft. When the draft was done on paper it would have a been a bit difficult to change certain aspects, and it would become even more ridiculous if you wanted to create an addition to the original project. With computer-aided drafting, you can go into the file, make the change, and print out an entirely new paper. In some cases, you might opt to simply send the file to a project manager so that they can view it on a tablet rather than printing it out. When you attend ITI Technical College and earn your Associate of Occupational Studies (AOS) degree in Drafting and Design Technology, you will acquire many different skills that are presented in easy to follow modules. You will work alongside your peers in teams to create drafts and even diagnose potential problems. Our classrooms do an outstanding job of preparing you for the real world by giving you the hands-on experience that you’re going to need. All in all, you will learn to use cutting-edge software and you will learn how building systems work. Most importantly, you are going to learn the vast differences between commercial and residential drafting. Are you ready to jump into a brand-new career and completely change your life? If so, then you are ready to jump into ITI Technical College’s programs and see what we have to offer you. Not only do we offer access to cutting-edge software, we are able to provide top-notch instructors who have worked in the field and will be able to share their own experience. Financial aid is also available to those who qualify. This is one educational opportunity that you don’t want to miss! When one thinks of computer aided drafting or CAD, they normally start thinking of things like skyscrapers, schools, residential housing, and much more. Admittedly, these items regularly require CAD software. However, many individuals overlook the extensive use of CAD software applications in special effects work. This blog explores a few of the most common CAD uses in a typical special effects setting. In terms of television and film, computer aided drafting has grown significantly. Everything from storyboarding to simulation, animation, and much more utilize CAD programs. Character design and storyboarding are one of the places where CAD tends to excel, as it allows creators to design production quality meshes, and even permits them to use sculpted data. Not only that, it saves a considerable amount of money. Between the mid-nineties and today, the gaming industry experienced a major increase in computer technology utilization. Modern games feature more realistic and immersive environments than older games, making them far more popular than ever before. Designers use CAD software for high-resolution and low-resolution modeling as well as animation. Shading and texturing are also an important part of the computer aided design and drafting, so those who take the time to earn a degree in the field will not only find themselves in a very fulfilling job, but also in a very lucrative one. When most people think of video production, they tend to refer to recording and editing, but it goes so much more in depth than that. CAD software helps in many aspects including the development of motion graphics. CAD software is very versatile and can really deliver in the motion picture industry. There are a vast number of CAD options in the industry, and one of the most popular comes from AutoDesk: the 3DS MAX. Additionally, other companies offer the Maya, the Mudbox FBS, and many more. These software applications are all very different and are all designed to meet a specific need. Keep that in mind as you decide which one would be best for your particular application. If you want to work with CAD and if you want to make a serious impact in any of the industries that we have mentioned in today’s article, then education is going to be key. There are so many different potential careers out there for you to consider with your newly acquired CAD skills! Maybe you want to work in the entertainment industry, or perhaps you simply want to build houses – similar education will be needed for both, and ITI Technical College provides the comprehensive education you need to excel in these fields. Contact us today and visit our website to review our program offerings. Most importantly, financial aid is available to those who qualify so do not allow your financial situation to dissuade you from contacting us today! We will help you jump-start your career! When most people think of Computer Assisted Design (CAD), or drafting education, one of the first things that come to mind for them is housing or commercial structure development. While design professionals most commonly use CAD software for structural engineering and building design but did you ever consider boat design? Designing a boat can be much more challenging than designing a house for many reasons, and boat design offers many rewarding career paths as well. So, what is it that makes boats so much more complicated than houses? First, boats are a much more confined space to work with than a house, which puts some serious emphasis on getting it right the first time. When designing a boat you will need to make sure that you have adequate space for the engine, bilge pumps, and other critical systems. Improper design or measurement errors can have enormous consequences, and they are most definitely not something that you want to find yourself dealing with. You may not have to deal with the problem directly, but a mistake on your part could cost the builders and manufacturers thousands or even millions of dollars. Not only do you need to consider sizing constraints when designing a boat, you also need to ensure your design is structurally sound and will float. Furthermore, the hull design must be optimized for fuel efficiency and aerodynamics. The design also needs to be aesthetically pleasing while accomplishing all of these technical feats. The greatest benefit of using CAD software for your boat design is the simple fact that you can go back and edit the file at will, whereas you could never have done so with a paper blueprint. This allows you to correct any potential mistakes and it allows you to make improvements later on as the client requests. Whether these changes are making the hull a little bit bigger or adding room for more amenities, easy changes are something that you can accomplish with the right CAD software and the right experience. CAD is complex no matter how you want to slice it. Watching from a distance it might seem like simple software, and those who are experts at it definitely make it look like an absolute breeze to use. The truth, however, is that it does require significant training whether you are hoping to create a house, a skyscraper, or even a boat as we mentioned before. Thus, you will need to attend architectural drafting school to get started. ITI Technical College offers programs to teach individuals the proper and most effective CAD design techniques, whether you are designing a skyscraper or the next high tech yacht. If you are ready to take your education to the next level and start designing the future of marine watercraft, then now is the perfect time to contact ITI Technical College and explore our course offerings. You may be shocked to find that we not only have the latest software and equipment for you but also offer financial aid to those who qualify. Invest in your education and enjoy a prosperous career in the marine CAD industry! Are you Cut out to be a Process Control Technician? Please note this does not opt you out of being served advertising. You will continue to receive generic ads.